My wife's old Dell XPS 15 was dying a slow death, and making a lot of fan noise while it did so. After taking the laptop apart and cleaning the fan with no change, I finally decided it was time for a new laptop. It seems that over time all laptops eventually start making noise – either from a fan or the hard drive. With the advent of SSD's (solid sate drives), the hard drive is no longer a concern, but fan noise is still a ticking time-bomb in my experience. So this time I decided to get her one with no moving parts. The other common issue I've had with laptops, is having the battery life go to hell pretty quickly. I think this is exasperated due to the practice of leaving most laptops in my house (I have a few) plugged in for long periods of time so the battery does not go through frequent drain/charge cycles. Having a longer batter life will help this as my wife will be more likely to leave it unplugged more frequently. And my final criteria is that the laptop must run well with Ubuntu. I've had my wife using Ubuntu for many years now and have no reason or desire to move her back to Windows. 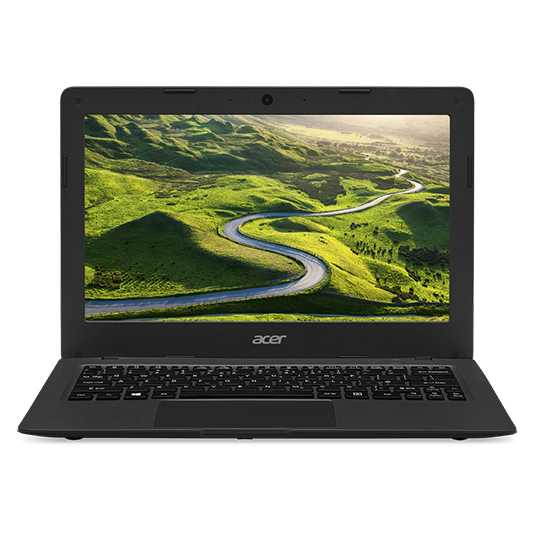 After doing some internet searches and reading some reviews I found the Acer Aspire One Cloudbook 14 Laptop. And while it was a minimal laptop to be sure (only 2GB RAM and 32GB eMMC drive), it was good enough for my wife's needs. The main selling points of having no moving parts, a 12 hour battery life (that really is about 12 hours), and a price tag of about $120 on sale, made it an easy choice for me. I liked it so much that I bought one for myself to use for long flights and any time I need to go long periods w/o a power supply. It really just has barely enough RAM to run one or two apps at once, but it's good enough for running Emacs and a browser which is what I spend most of my time using. To install Ubuntu I followed Nicolas Bernaerts' excellent instructions. And while a 32GB drive is enough for my wife, I wanted a larger drive, so I bought a 128GB USB drive and followed these instructions on mounting it as my home drive. It just stays plugged in all the time. I probably could have just put the entire installation on it and booted from the USB. Maybe I'll try that at a later date as then my setup becomes a lot more portable if my laptop should die on me. My only complaint about the laptop is with its keyboard. It is very stiff and I find it difficult to consistently have key presses register. I'm hoping this will ease up over time. Also, I would be happier with 4GB of RAM as the swap partition gets used a lot. I've been reading Jeremy Reimer's series on the history of the Amiga, published on Ars Technica. I highly recommend it to anyone that owned an Amiga or was into computers during the Amiga, Mac, DOS/Windows days. It's the computer that should have taken over the world as its technology was five, or even ten, years more advanced than the competition – no joke. With all of that potential, many like me probably wondered how Commodore could have messed it up so badly. Jeremy goes into all of the details of the historical time-line. 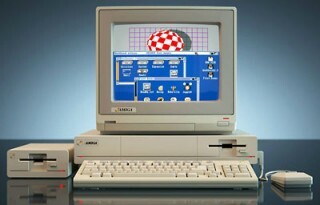 Although I got my start on the Commodore 64, my Amiga 1000 (followed by the 3000) was the computer I used during my college years while I was majoring in Computer Science. I was probably the only one in my class using an Amiga too. Their loss! We worked with a great passion… my most cherished memory is how much we cared about what we were doing. We had something to prove… a real love for it. We created our own sense of family out there. This article assumes you have already installed the Android SDK. I also assume that you have the platform-tools directory as part of your path. If not, you will need to specify the full path whenever you see the adb command used, like ~/android-sdk/platform-tools/adb. The first step is to get your computer to recognize the phone. I followed the instructions on the Android developer site that explain how to do it. I'll summarize the steps for Ubuntu. Replace "04e8" with the vendor id found in your lsusb output from the previous step (it's the first four characters after ID). Now set the permissions on the file and restart udev to enable it. Assuming you have made it this far and adb can see your device, we can continue with the rooting process. The following instructions were taken from this Newbie Guide to Rooting the Fascinate. After the next step there will be a pause (for a few seconds) then you will be returned to the shell prompt. Then wait another 20 seconds or longer and you should be kicked out of the adb shell. If your phone locks up, nothing bad should happen, just try forcing a reboot by pressing and holding the power button, or removing the battery for a few seconds. You should see the following then the command prompt again. After it installs you will see Success on your screen and the connection will hang. Press Ctrl-C and reboot your phone. You should now have permanent root. The Library of Congress has specifically exempted rooting from the DMCA (Digital Millennium Copyright Act)… This means that it is now 100 percent legal to root your Android phone (or jailbreak your iPhone) whenever you want without fear of legal action taken against you. Once again I've decided that I want to take a look at programming for the Android platform. One of the first things to do is to get an Android emulator and a programming environment setup. After searching around a few different sites to get the instructions I've compiled the steps to get an emulator working under Ubuntu Linux here. Download the latest SDK from the Android site (which, as I write this, is android-sdkr07-linuxx86.tgz). You can also create a custom application launcher with that command. Even though I prefer to code in Emacs whenever possible, the recommended method of programming for the Android platform is with the Eclipse IDE. So, I'm starting with that at least until I get more used to Android programming. However, I could not get the Android Development Tools to install with that version of Eclipse (Galileo v3.5.2). So, like many others have, I decided to use the latest version from their web site. I downloaded the 64-bit Eclipse Classic (Helios v3.6.1) tarball from their download page. You should download the correct version for your architecture and uncompress it in your home directory. Install everything from each of them in the above order. After that finishes, select Preferences from the Window menu. Select Android on the left and set the SDK Location to /home/USERNAME/android-sdk or wherever you installed the Android SDK. When you apply it you should see a list of Android target versions. OK the change. Now when you create a new project, you can pick Android as a type. James DeBragga [Windows Consumer Product Manager]: Android is "free like a puppy". spark: "Free like a puppy" is certainly much, much better than an atrociously priced and uncontrollably incontinent, rabies-infected mad hound. I was re-reading an old post by Steve Yegge about productivity tips for using Emacs, and I wanted to comment on a few of them, but I was not able to find a way to leave a comment or email him. That combined with the fact that I haven't done a blog entry in over a year, I thought I should blog my comments here. If you use Emacs (and you should), you owe it to yourself to read his post. He does a very good job explaining why Emacs is better at certain [most] tasks and how to configure it for an even better experience. As I read this I realized that I had incorporated a lot of his recommendations already. Some I had not implemented, others I had tried and reversed (as noted in my comments inside my dot-emacs files). I've listed his sections that I have comments about. This time I am going to try to stick with using CapsLock as Control. Since I mostly use Ubuntu Linux setting up my .xmodmap files was pretty simple to do. I will be sure to try his regedit trick on Windows when I get a chance. I had this switched off because I was using the C-xC-m key for starting Mingus, but I'm going to try the keybindings he recommends. I find it hard to switch finger-memory modes when switching between Emacs' cut/copy/paste bindings and the standard CTRL-X/C/V ones that so many other applications use. Because of this, I use cua-mode. It allows me to keep the Emacs functionality of those keys while still being able to use them as needed. Having said this, I still want the original Emacs cut binding C-w to work as expected. whether or not a region is selected." Just had to say that I completely agree. As mentioned in the comments section, after you've created a keyboard macro with C-x( and finished it with C-x), and then used it once via C-xe, you can then repeat it by just pressing e.
That's about it for my comments. I hope Steve writes more articles on this topic and finishes his remaining 40 tips. For more interesting Emacs sites see my previous blog entry about this topic. If you don't use emacs, you're a pathetic, mewling, masochistic weakling and I can't be bothered to convert you. After reading this interesting blog about creating petabyte size storage servers I found this entry about rules to follow when writing cross platform code by Brian Wilson to be a good read for anyone doing cross platform coding in C/C++ (or any language for that matter). The author works for Back Blaze which seems like a nice inexpensive backup service. I will probably subscribe to their services once they have a Linux client. It is a little hard to ignore the irony of the cross platform article when the Linux client is still missing, however, anyone that has worked for a software corporation knows there are often many other non-technical reasons for their product release decisions. There are 10 types of people in the world: Those who understand ternary, those that don't, and those that confuse it with binary. I finally got my site backup up and working on a new server. A very quiet Dell Studio Slim 540s, running Ubuntu 8.10 and apache 2. I had been running apache (1) on an old hand built Celeron 500MHz server that made a lot of noise and had some hard drives dying. It was long over due for an upgrade. Installing Ubuntu 8.10 was easy enough as was moving subversion over (it was the first thing I did). All I needed to do for subversion was to rsync the directory over along with all of the other files I was copying, and start the service. Once I had my ssh keys setup, subversion worked just like it did on the old server. Getting apache to work correctly, however, was not nearly as easy. The server itself worked fine out of the box, but I have a lot of domain names that I proxy with apache and it took me a while to figure out how to set those up correctly. After looking at far too many examples online I finally got it working. The following are the steps I took, and hopefully this will save someone else the time it took me to figure it out. Note that all of these commands need to be run as root or via sudo. I did not need to make any changes to the default userdir.conf. Obviously, replace nulldot.net with your domain name and point the ProxyPass and ProxyPassReverse lines to your target directory. Negroponte of OLPC fame, unveils the 2nd Generation OLPC Laptop, which is an E-Book. I'm not sure I'll get one (or even if I'll be allowed to buy one ), but I like the idea. I'm still quite happy using my Gemstar (RCA) REB 1100 for all of my e-book needs. While I like what the OLPC organization has done and continues to accomplish, there are a couple sticking points for me. First, their laptop is very under powered by today's standards. Although that is probably fine for their intended audience, it does make me not want to own one myself. Plus if you use it as intended, you're using their SUGAR interface which is new and limited – in the sense that you can only run applications specifically designed to run under SUGAR. 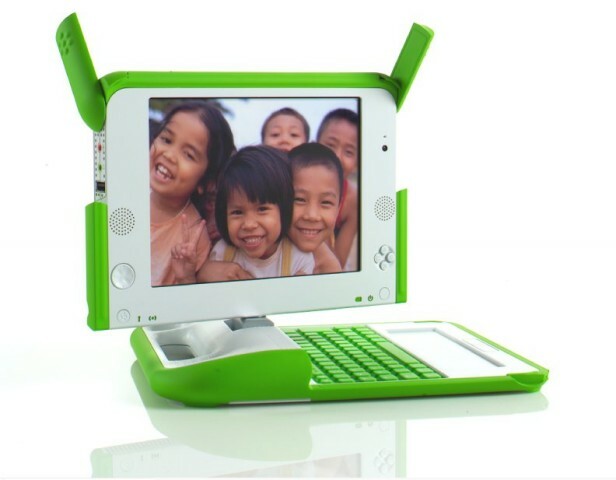 Some great things have come out of the OLPC project. They were very innovative with the display technology, which requires a lot less energy to power than normal laptop screens. Also, their mesh network concept seems like a good idea. On a bad note, they've recently decided to support Windows on the OLPC devices, which I think is a very bad idea. A main point of the OLPC project was to foster openness and freedom, two ideals that Windows does not support – at least from a technical perspective. On the e-book topic, researchers at Maryland and Berkeley Universities have created an interesting e-book reader that lets you flip the pages. That's a feature I don't think I need or want, but it's interesting. The original OLPC laptop cannot be bought directly. You may buy them for children in other countries, or donate to the project only. Dew knot trussed yore spell chequer two fined awl mistakes. Another great entry from xkcd. I remember a real version of this science scale presented to me in college, but the professor labeled the sciences on the left as weak sciences and the ones on the right as strong sciences. It seems that Engineering and Computer Science have been left off – on purpose I suppose, since they would be pretty close to Mathematics and thus ruin the joke. I do realize that I'm probably quite biased on the topic of editors, but be that as it may, Emacs is simply the best editor, IDE, environment, platform, lifestyle, etc. there is. And it's high time you learned how to use it. First a quick aside… I used vi and vim for 10 years or so before I finally decided to bite the bullet and take the time to learn Emacs. It probably took me 6 months of playing with Emacs to really get comfortable with it. Hopefully these suggestions will help lessen that amount of time for others. I'm assuming that you can figure out how to find and install Emacs for your system. You may read how to obtain Emacs from the GNU Emacs site. The problem with the GNU coding standards is they ASSUME that everyone in the world uses emacs. If that were the case, free software would die because we would all have wrist problems like RMS by now and no longer be able to code.